Happy Chinese New Year! The year of the rabbit begins today and I’d like to take a look at some of the books involving rabbits that have influenced my childhood and probably yours as well: I remember loving the tales of Brer Rabbit. Sure he was a pain and always getting into trouble, but that would be part of the appeal – especially for a child. And apparently Brer Rabbit can be traced all the way back to storytelling traditions in Africa. Who would have thought that our favorite mischievous bunny had such a long history? :) The Velveteen Rabbit by Margery Williams was probably one of the more traumatizing stories of my childhood. I remember worrying incessantly about the outcome of throwing out my stuffed animals. Sure Velveteen eventually became a real bunny, but I feared that mine wouldn’t and would end up sad and alone in a trash can. And even though I’m ‘all grown up’, this children’s story still tugs at my heart strings. :) And finally there’s Alice in Wonderland by Lewis Carroll. 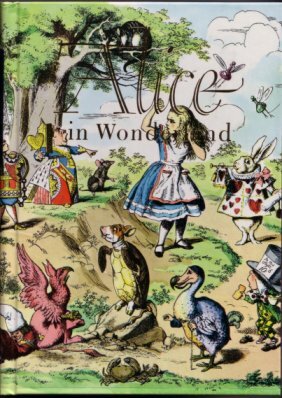 We all know the story doesn’t center around the rabbit of course, but it’s impossible to think of this book without recalling that poor, nervous white rabbit. :) Happy Year of the Rabbit!